Israel wants to build the longest submarine electricity cable to Europe via Cyprus and Greece. The EuroAsia Interconnector will unify Europe and Israel’s electricity networks, including grids powering Israel’s illegal settlements in the occupied Palestinian territory. This multi-billion euro project rewards Israel for its war crimes while Palestinians are being kept in the dark. Israel’s siege on Gaza limits electricity to just a few hours per day for close to 2 million Palestinians living there. Israel has repeatedly demolished Palestinian solar energy installations in the occupied West Bank, the only source of energy for many communities. The EuroAsia Interconnector is projected to link electricity grids in Israel, Cyprus and Greece via the world’s longest submarine power cable . Crucially, the Interconnector would connect Europe’s electricity grid with Israel’s grid that incorporates the illegal settlements in the Occupied Palestinian Territory, including East Jerusalem (OPT), implicating Europe in Israel’s war crimes . The Interconnector is explicitly defined as enabling ‘multi-directional’ and ‘ bi-directional transmission of electricity ’, thus directly connecting Europe and the illegal Israeli settlements. Israel plans to use the Interconnector to export to Europe electricity produced from its controversial gas discoveries . Alongside the EuroAsia Interconnector, a subsea ultra high speed fiber-optic cable system will be laid to connect Israel, at one end, and Spain at the other, passing through Cyprus, Greece, Italy and France. 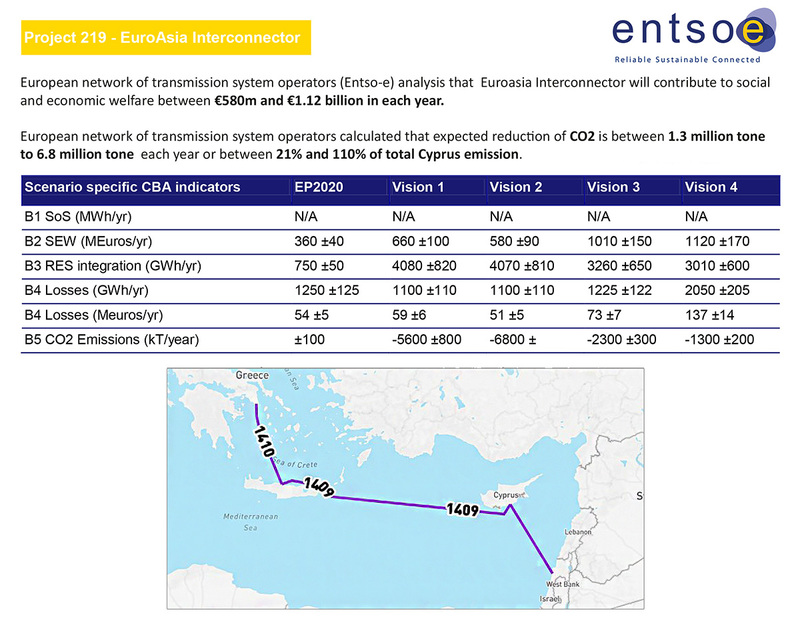 The integration of the so-called Quantum cable in the EuroAsia Interconnector project was agreed at a Greece-Cyprus-Israel trilateral summit in June 2017 at a cost of $200 million and expected to go live in 2020. Laying of the Quantum cable will mean that 60% of the world’s internet traffic – between Europe and Asia – will pass through Israel, raising serious concerns on security and civil rights . Construction of the EuroAsia Interconnector is expected to start in June 2019 and end in December 2023 . The EuroAsia Interconnector first received political support from Israel, Cyprus and Greece at their Trilateral Summit in August 2013 with the signing of a tripartite energy memorandum. Israel’s then Energy and Water Resources Minister Silvan Shalom said that t he “electric conduit can easily become a cable that will supply and export electricity to the European energy market, and provide us with energy security.” UNICEF, the UN agency for children, is listed as a “proud sponsor” of the project on the official website of the Interconnector, alongside the Athanasios Ktorides Foundation. Dubbed an “electricity highway”, with a total length of 1518 km and a capacity of 2000 MW, the EuroAsia Interconnector is a leading Project of Common Interest (PCI) of the European Union (3.10) funded by the Connecting Europe Facility. PCIs benefit from priority investment from EU funds because of their strategic impact on the energy market integration and contribution to EU climate goals. EuroAsia Interconnector Ltd was established with the support of the Belgian company Elia group, based in Brussels. The Elia group is owned in part by a cooperative representing Belgian Municipalities (44.96%). It is estimated that EU funds will finance about 50% of the estimated cost of the project. The remainder will be funded through government grants, private finance and bonds. The connection between Israel and Cyprus is expected to cost €440 million. Following the discovery of large gas reserves in the Eastern Mediterranean, the EuroAsia Interconnector will enable Israel to export to EU markets electricity produced through their gas reserves. The expected economic benefits for Israel, Cyprus and Greece are between €580 million to €1.12 billion each year. As explained in a separate BNC briefing , the export of Israel’s gas to Europe is riddled with serious risks, from Israel’s theft of gas reserves that straddle Lebanese and Palestinian waters, to the fueling of Israel’s militarism in the Eastern Mediterranean and Israel’s illegal siege of Gaza. By financing the Interconnector and connecting Europe’s electricity grid with Israel’s, the EU and member states would provide direct support to Israel’s illegal settlements in violation of their legal obligations and commitments. 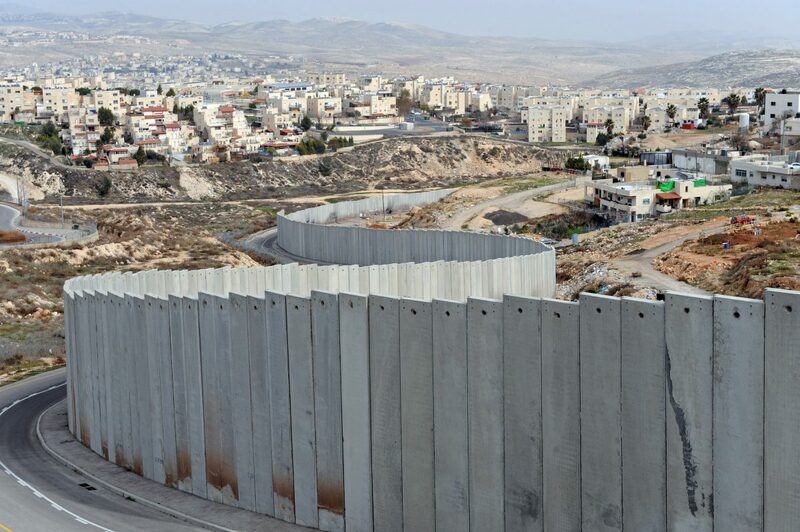 These obligations are outlined in resolutions of the UN Security Council, the European Council and EU directives which explicitly call for non recognition of these settlements, refraining from providing any assistance to the illegal situation created by them, and adopting proactive policies that distinguish between Israel’s internationally recognized territory and its illegal settlements in the OPT. The EU’s support for the EuroAsia Interconnector and Israeli gas export to Europe stands in stark contrast with Israel’s systematic assault on Palestinian human rights, energy sources and supply. In 2006, Israel bombed Gaza’s only power plant supplying close to one million Palestinians with electricity. In October 2007, Israel reduced the amount of industrial diesel allowed into Gaza, needed to operate the already debilitated power plant, as part of its illegal blockade policy. In July 2014, Israel once again bombed and destroyed Gaza’s sole power plant. As a consequence, Gaza’s households receive on average of four hours of electricity a day. This has spelled a humanitarian disaster for Palestinians, with hospitals, schools, sewage system and other public infrastructure struggling to cope. In the so-called Area C, comprising 60 percent of the occupied West Bank, Israel refuses permits for connecting Palestinian communities to the electricity network and routinely demolishes and confiscates solar panels . Meanwhile, Israel has illegally exploited Palestinian and Lebanese gas resources, which it now intends to export to Europe through the EuroAsia Interconnector. Statements by Israeli officials indicate just how these discoveries have factored in Israel’s considerations for the enforcement of its illegal naval blockade of Gaza. It is estimated that Palestinian gas deposits under Israel’s control are worth more than $4 billion. 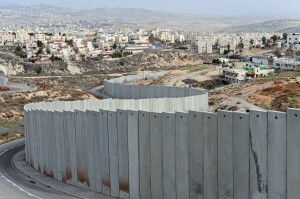 Israel’s appropriation and exploitation of the natural resources of the occupied Palestinian territory (OPT) for its own benefit, and for the benefit of illegal settlements, is a flagrant violation of international humanitarian law, amounts to the war crime of pillage , and is part and parcel of Israel’s de facto p olicy of annexation of the OPT. 1. Withdraw the current tender for the EuroAsia Interconnector’s Israel-Cyprus link and remove this aspect of the project from EU funding mechanisms. 2. Conduct a credible human rights impact assessment based on its third state obligations and following the EU’s 2012 Strategic Framework and Action Plan on Human Rights and Democracy that obliges “consideration of the human rights situation in third countries in connection with the launch or conclusion of trade and/or investment agreements”. 3. Warn European companies and investors of the legal, economic and security risks of involvement in Israel’s electricity and gas projects. 4. Guarantee the protection of civil rights and right to privacy of EU citizens in relation to the Quantum cable connection through Israel.